Short sales aren’t black and white, and can happen because of many different factors. They might be confusing to the average home owner, but we specialize in them and can help you. The most basic answer is that is a property that sells for less than the balance owing on its mortgage. A short sale typically is an underwater home, an apartment building or even vacant land where the mortgage balance is greater than the market value of the home. 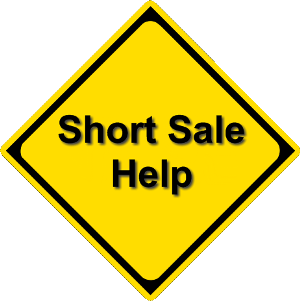 Not every property qualifies as a potential short sale in a bank’s eyes, so a bank must agree to grant a short sale and are under no obligation to approve it. Most short sale transactions are handled by real estate agents who specialize in short sales, and our agents can certainly help you. You can be current on your payments and still effect a short sale. It all depends on how far behind you might be in your payments, and the cause of the hardship. In most cases you are able to buy another home within 2-4 years. The credit reporting agencies will in most cases report a “paid satisfied” instead of ” paid in full” which to creditors shows a negotiated payoff. It also shows that you made an effort to solve the problem instead of letting go to foreclosure. In almost all circumstances it will not affect your credit as badly as a foreclosure, which will stay on your credit longer than a short sale. If your payments have never fallen behind 30 days late and the lender does not require that you pay back the loan, Fannie Mae guidelines may allow you to buy another home immediately. However, finding a lender who will fund that kind of loan is very difficult. If you are current on your mortgage, you can qualify for an FHA loan immediately as well. If your payments are in arrears yet a short sale is granted by your lender, you may qualify to buy another home with a Fannie-Mae backed mortgage within 2 years, regardless of whether the home is your primary residence. The wait for FHA is 3 years. For any mortgage questions, visit our Team Partners page to find the right people to talk to. With certain restrictions, you may be eligible to buy another home in 5 years if the home was your primary residence. Without restrictions, the wait is 7 years. If you are an investor and do not occupy the home, the wait to buy with a Fannie Mae insured loan is 7 years.